This is the third update of the kehlsteinhaus.com website, which was first launched as a (then very small) unofficial English-language historical guide to the Kehlsteinhaus in the summer of 2001. A redesign took place in 2003 with the static content subsequently being replaced by a PHP-driven layout in 2009, but this complete overhaul sees the site move onto the popular WordPress platform. As a result, you will see a raft of whole new features, from a smoother and smarter-looking layout and more powerful image galleries through to the interesting information tool tips dotted around the site. Did You Know?This is what an information tool tip looks like. You will see them at various points around the site. The site has been optimised for all modern browsers for PC and Mac, and offers the same rich experience on both tablet and smart phone devices. If you have any comments on the site or might have any additional information, historical details or images that might help to improve it, please fill in the short form on the Contact page. Please note that this is an historical information site, and as such the author cannot provide any specific information concerning tours or visits to the house. A number of printed and online resources have been used in creating this site, but above all I would recommend the History of the Eagle’s Nest by local Berchtesgaden historian Florian M. Beierl. I purchased Herr Beierl’s excellent book on a previous visit to the Kehlsteinhaus in 1999, and the information it contains has been invaluable. Geoff Walden’s highly informative Third Reich in Ruins also was of great help, and is an interesting read for anybody interested in what still remains of the architecture of the Third Reich. 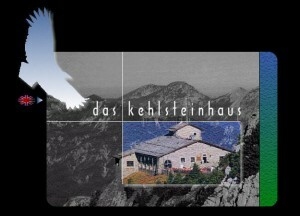 All colour images of the Kehlsteinhaus and Kehlsteinstrasse have been taken by the author, with the exception of a very small number of items from third party and open source archives. All pre-war images have been located over the years from various sources on the Internet. Some of the photographs of the main reception hall and dining room restaurant areas are courtesy of Herr Norbert Eder at the Kehlsteinhaus, while a few of the images of tunnels have been kindly donated by Herr Wolfgang Dambach, a specialist on stone architecture in Germany. If you would like to use any of my own images for a similar site or to provide information or education about the Kehlstein project, feel free – though please send me an email or a short message via the Contact page to let me know. You can also post a message on this site’s dedicated Facebook page. Rick D. Joshua is a web content manager, philatelic expert, part-time military historian and night-time football writer. He lives in West London with his girlfriend Caroline and resident feline furball Parsifal, and is a frequent visitor to the Berchtesgadener-Land. Kehlsteinhaus.com is one of a series of three historical websites that have maintained a presence on the Internet for over a decade, the others being u47.org, a web site on the Second World War U-boat U-47 and its skipper Günther Prien, and panzerace.net, which is devoted to the life and career of the Tiger tank commander Michael Wittmann. As well as military history, the author also contributes to a number of football blogs, and has compiled a living encyclopaedic history of the German national football team, Schwarz und Weiß. 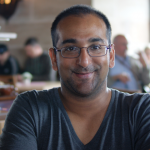 He is also the author of Red Odyssey: An FC Bayern München Fan History, and The Little Bundesliga Book. Design and concept by Rick D. Joshua. Copyright © 2001-2018 Rick D. Joshua, all rights reserved.